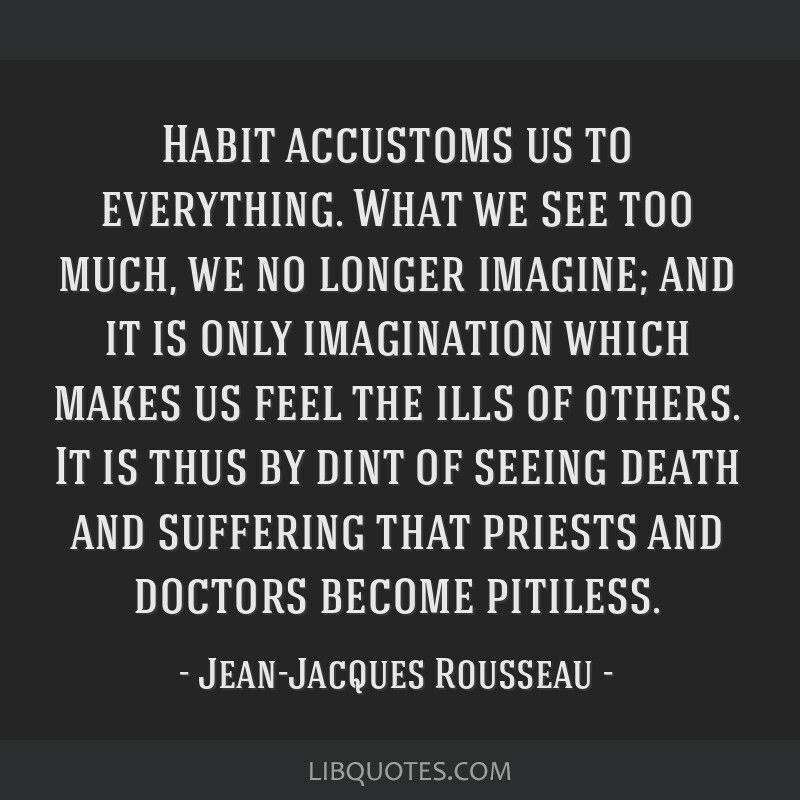 Habit accustoms us to everything. 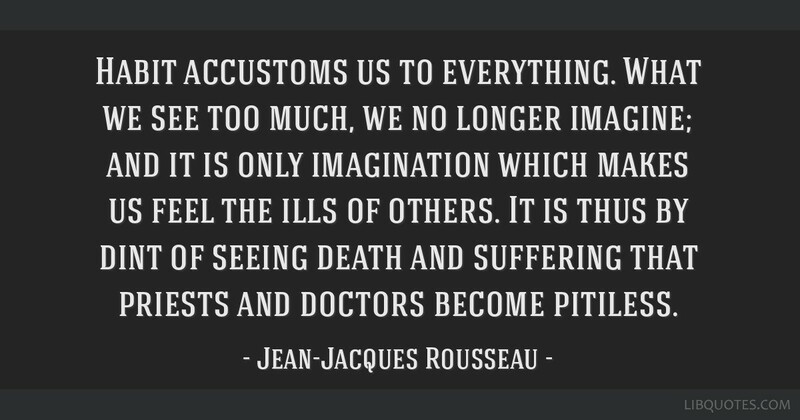 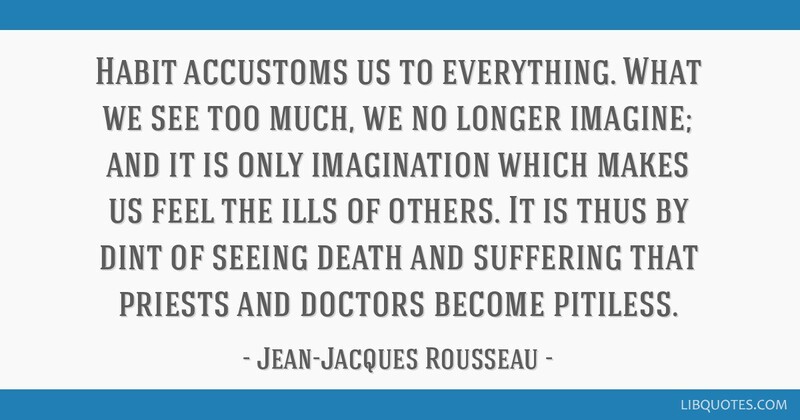 What we see too much, we no longer imagine; and it is only imagination which makes us feel the ills of others. 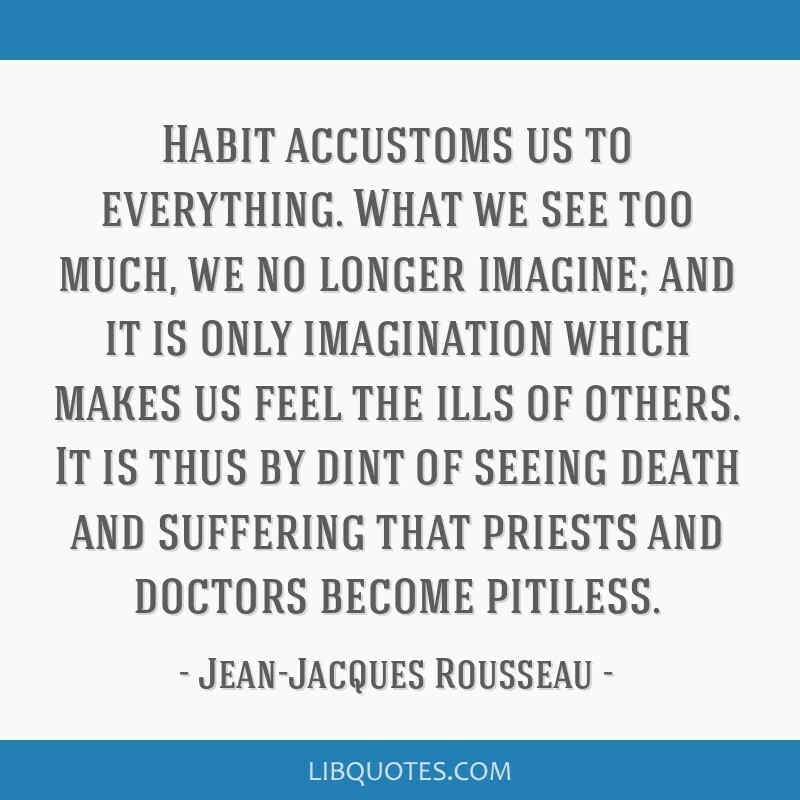 It is thus by dint of seeing death and suffering that priests and doctors become pitiless.